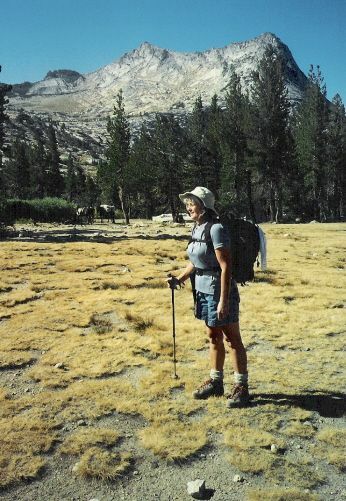 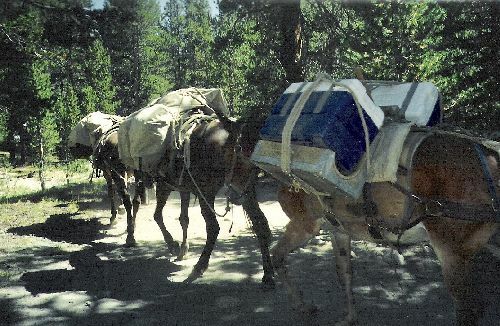 Shirley and I have enjoyed many fine hikes in Yosemite. 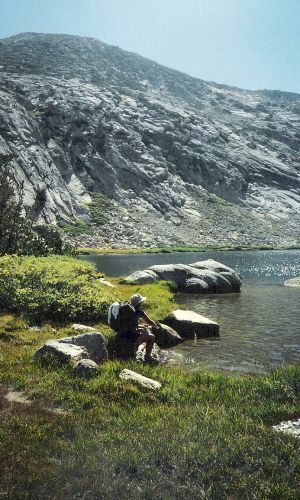 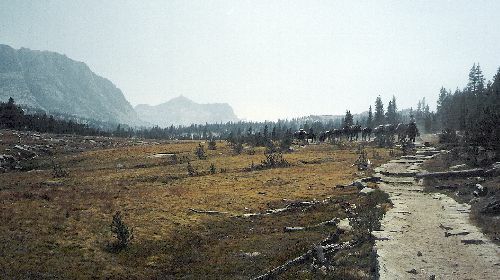 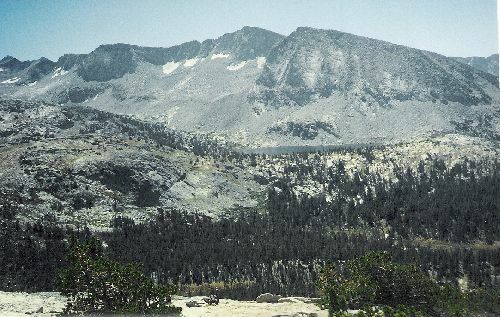 One of our favorites is the three day trip (for us) from Tuolumne Meadows to Yosemite Valley. 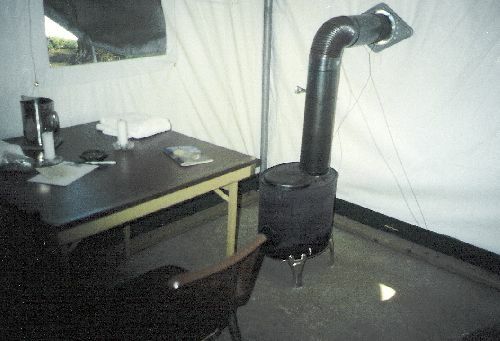 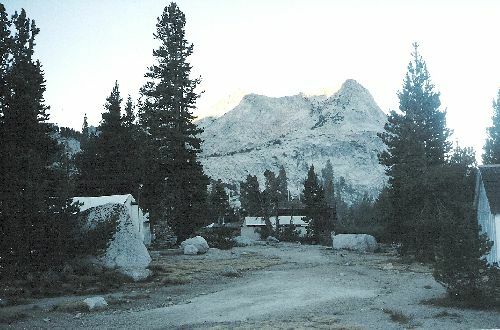 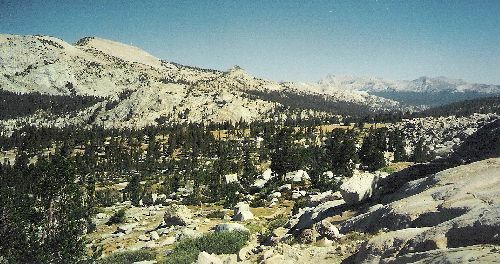 After leaving our car at Curry Village in Yosemite Valley, we take a shuttle bus to Tuolumne Meadows and spend a night in a tent at the High Sierra Camp (HSC) located there. 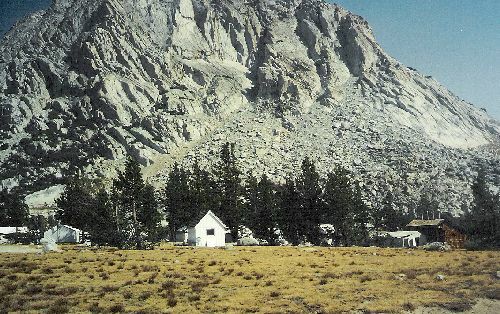 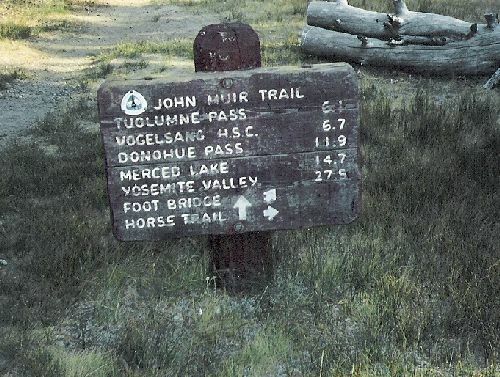 The first day's hike takes us to Vogelsang HSC, day 2 is a hike to Merced Lake HSC, and day 3 takes out to our destination, Yosemite Valley. 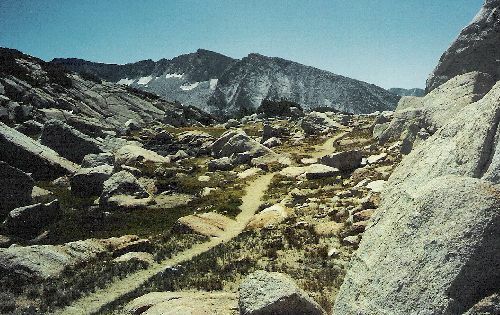 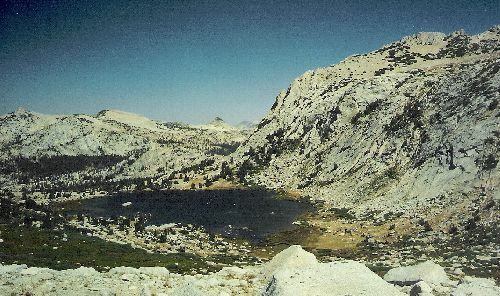 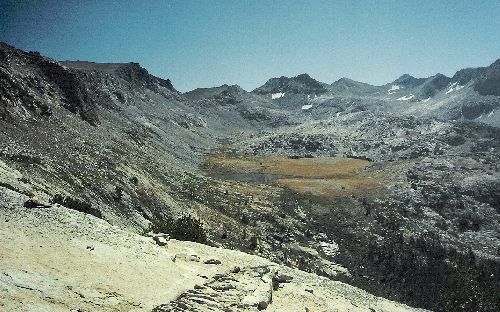 One year we went up and over Vogelsang Pass on the way to Merced Lake. 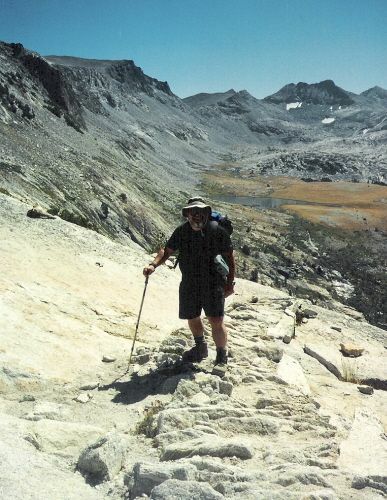 At over 10,700', this was a grand adventure for the both of us. 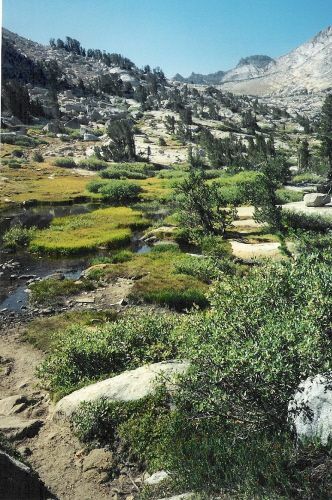 Here are a few pictures from that High Sierra hike.